April 12th, 2018 seems like a distant memory at this point, but that is the moment that the Denver Nuggets became the lethal and dangerous team they are today. That morning — just hours after failing to secure a playoff spot in game 82 versus the Minnesota Timberwolves — the Denver Nuggets sluggishly brought themselves back to the Pepsi Center for the ceremonial exit interviews and to clean out their lockers instead of heading off to Houston to take on the Rockets in a first-round playoff series. As expected, most players were frustrated. Denver had just won six-straight games against playoff-caliber opponents just to give themselves an opportunity to make the playoffs. 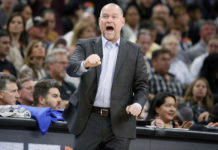 For that dream to be destroyed in overtime during the final game of the season at the hands of the team that is going to the postseason instead of them almost felt cruel, but instead of feeling sorry for themselves, the young Nuggets roster and coaching staff made a vow to never put themselves in that position again. 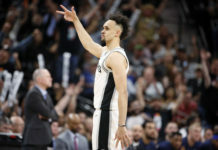 Frustration was an emotion that was felt by the entirety of the roster which made it an obvious and unavoidable talking point on the excruciatingly long flight back to Denver from Minnesota after being eliminated from the playoffs. No, those conversations were not enjoyable, but they were necessary to Denver taking the next step towards contention. With 2017-18 now in the rear-view mirror, the Nuggets have attacked the 2018-19 season with reckless abandon and have made good on their vow. 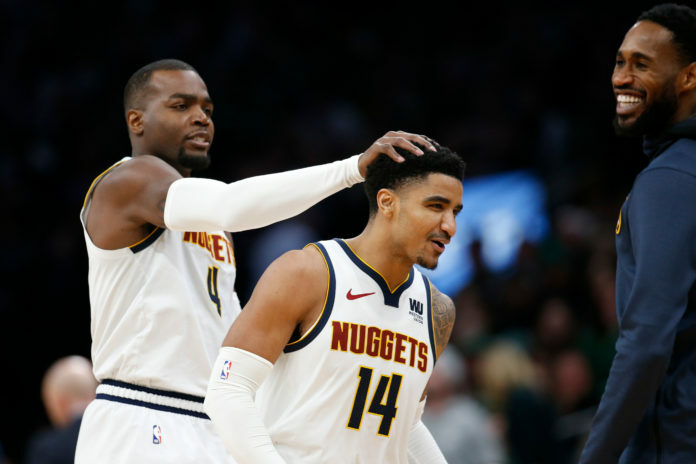 On Monday night, against the surging Boston Celtics, the Nuggets managed to escape with a gutsy road win; their 47th win of the season which also locked Denver into the Western Conference playoff picture for the first time in six years. The Nuggets’ journey back to the playoffs has not been easy and has required a lot of self-reflection by the coaching staff and roster, but they have taken all of the pain and suffering of failure over the past two seasons and have converted it into fuel. 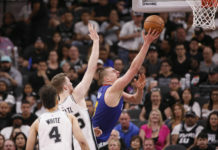 That fuel is what Denver has used to rocket themselves all the way to the top of the Western Conference standings; a spot that they are currently sharing with the Golden State Warriors who are sporting a identical 47-22 record after 69 games. Now, the Nuggets are sticking with that same vow of taking every game, every quarter, and every possession seriously and are applying it to not just making the playoffs, but to every obstacle that remains in their path. “Going into this season, it was just make the playoffs,” Malone explained. “Now, let’s fight for a number one seed. Let’s fight for homecourt advantage and see where that can take us. No longer are the Nuggets just trying to make the playoffs — that goal has already been accomplished. Now, Denver wants homecourt advantage in the playoffs. Once they reach that goal, they will turn their focus to securing the first seed in the death gauntlet that is the Western Conference for the first time since the the ABA and NBA merger. Then, Denver will turn its attention to getting as deep into the playoffs as possible. Simply stated, the Nuggets no longer want what is given. Instead, they are looking to take what they view as theirs. This Nuggets roster has a collective chip on their shoulder and they look forward to showing the rest of the league just how special this group of men can be.